Over the past 25 years, Ron has consulted with a number of companies and government organizations across North America, Europe, and the Far East. His experience includes being CEO of four different training and consulting companies with revenues ranging from over $200 million. 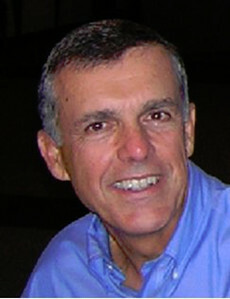 Ron has worked with large clients as the key architect of corporate-wide leadership development programs. During these experiences, he has identified a number of best practices for developing executives and integrated them into his designs. This includes thinking-based solutions such as using assessment tools that measure the cognitive dimension, leveraging thinking-based executive reflection exercises, enabling executives to translate the big picture strategy for themselves, coaching strategic thinking skills, and developing leaders within the context of their own business strategy. Earlier in his career, Ron worked for Xerox Corporation where he held a number of positions in Engineering and Human Resources. His last position with Xerox was to lead the development of their long-range Human Resources Strategy. Ron also managed Organizational Development for the Xerox Business Group that won the prestigious Malcolm Baldrige Award in 1989.